Watch out – these boots are not what they seem. 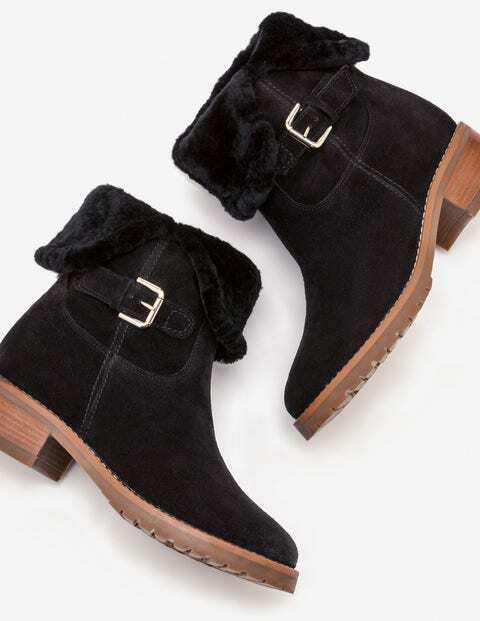 They may look just like chic ankle boots, but they feel like sinking into your favourite pair of cosy slippers. However chilly it gets, your toes will stay snug and warm in the luxe sheepskin lining. Finished in smart suede or leather with contrast stitching and a gold buckle, they also feature a sturdy rubber sole and a chunky heel to make easy work of icy pavements.